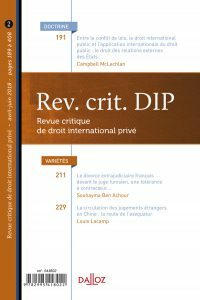 The last issue of the Revue critique de droit international privé has been released. 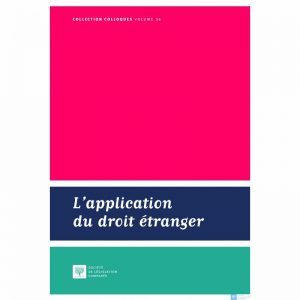 It contains several casenotes and one article, authored by Professor Paul Lagarde (“La codification du droit international privé monégasque”). Global Private International Law is a new casebook, published by Edward Elgar and edited by Horatia Muir Watt, Lucia Bíziková, Agatha Brandão de Oliveira, and Diego P. Fernandez Arroyo.